All you need is a pair of sneakers. Some researchers think running may be so good for us because it’s something we evolved to do. People are built to run, literally. Many experts think human bodies are shaped the way they are because we evolved to be extremely effective endurance runners. The shapes of our hips and feet, the length of our legs, our shock-absorbing spinal discs, and our skin — and ability to sweat — make it possible for us to run mile after mile. So it’s perhaps no surprise that running is strongly associated with a number of benefits for our bodies and brains. Many experts consider exercise to be the closest thing to a miracle drug. 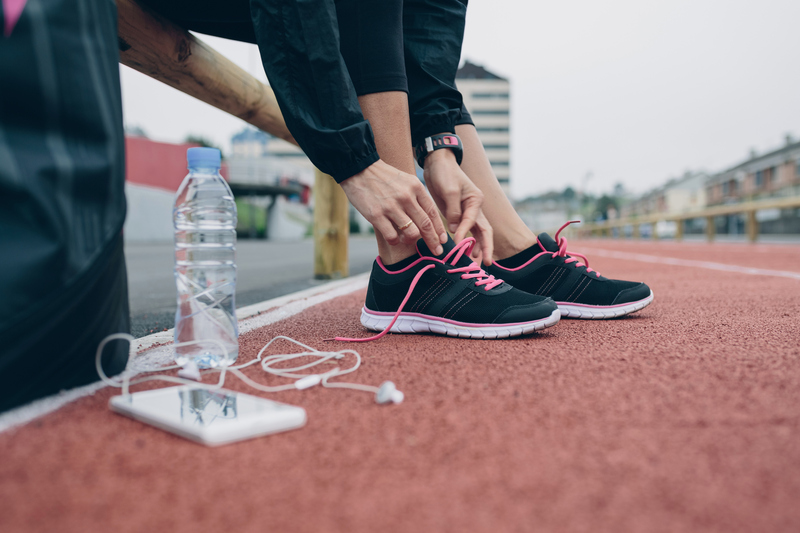 As a form of cardio exercise that’s easily accessible, running is one of the easiest ways to get some of the most important benefits of exercise. Since it improves aerobic fitness, running is a great way to help improve cardiovascular health. Plus, it burns calories and can build strength, among other things. There’s a long list of psychological benefits runners can get from their sport. Getting used to running, if you haven’t done it in a while, or ever, can be brutal. But once your body and mind start to acclimate, running can be blissful and provide a sense of freedom. Spending 30 minutes on a treadmill is enough to lift the mood of someone suffering from major depressive disorder, according to one study in the journal of the American College of Sports Medicine. Even better for those who are still trying to get started with running, participants could go at a walking pace to receive the same mood-lifting benefit. This shows that no matter what pace you’re going at, moving has positive effects and adds to the already significant body of research showing that running and other forms of exercise can improve mood and help fight depression. Knee pain can quickly sideline a runner and is often a sign of overtraining or a need to improve form or flexibility. But even though people stop running because of knee pain, it’s probably not causing knee osteoarthritis. In one eight-year study of 2,637 participants, researchers found that the more people ran, the less likely they were to suffer from knee pain or osteoarthritis. While it’s hard to say that running caused less knee pain, researchers think it could do so by helping people keep their BMI in check and their leg muscles strong. Running also strengthens bones. Running helps young people sleep better and improves their mood and ability to focus. In one study of 51 young people with an average age of 18, those assigned to run were found to sleep better, show signs of improved psychological functioning, and focus better during the day when compared to peers who continued without adding running to their routines. These peers were not totally sedentary and did get some exercise, but didn’t add a regular running regimen. To get the benefits associated with running, the group ran at a moderate pace for 30 minutes a day, five days a week, for three weeks. The same benefits are likely to apply to runners of any age. We know that aerobic activity is good for the heart, so it’s no surprise that running can improve cardiovascular fitness. But what’s amazing is that people can get big benefits without have to do a lot. Running just five minutes a day could add years to your life, according to a study in the Journal of the American College of Cardiology. In general, the more people run, the healthier their hearts tend to be. There has been some concern that extreme amounts of running — we’re talking ultramarathon distances — could stress or scar the heart. But a growing body of research seems to indicate that’s not something to worry about. Researchers have found that people who run at least 40 miles a week have healthier hearts than those who run 13 miles a week, for example. Running can improve your mind at any age, and fight age-related cognitive decline. Researchers think this may be because aerobic exercise increases the levels of neurotransmitters like serotonin and norepinephrine, and causes the brain to generate new neurons. Getting 30 minutes or more of aerobic exercise makes people significantly less likely to die from any cause — and getting an hour or more of movement is even better, according to some research. People who meet exercise guidelines are significantly less likely to develop a number of forms of cancer as well, according to a major review of research. For many people, the easiest way to meet those guidelines is to get out the door and start running.